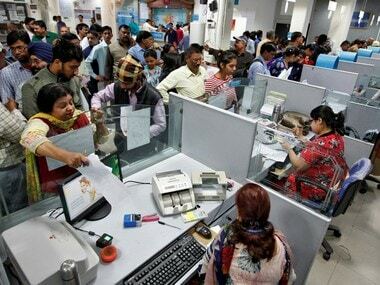 It is nothing short of a monsoon bonanza for about 47 lakh central government employees from the Narendra Modi government that will put more money in the pockets of people, hopefully giving a boost to consumption-driven growth. This is much needed at a time when other key economic growth engines are slowing. The total annual payout, going by the recommendations of the Seventh Pay Commission on House Rent Allowance (HRA) rates and other allowances for the Central government employees, will be just over Rs 30,000 crore effective from 1 July. But, the bad part is that this could also turn out to be inflationary and give a headache to inflation fighters at Mint Road. But, the bigger good news is the second decision announced by Union finance minister Arun Jaitley — the Cabinet nod for divestment of loss making Air India. This is the much awaited good news and probably the first convincing move from the Modi government to fulfill its old promise that ‘government has no business to be in business’. It is not clear what will be the quantum of divestment in the national air carrier. 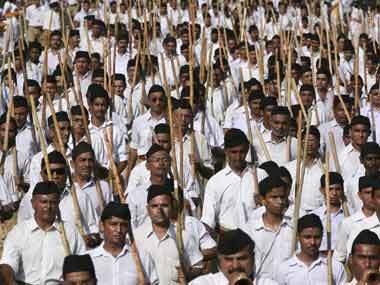 This, according to Jaitley, will be decided by a group of ministers. Ideally, it is high time the government exit the majority control in the carrier and hand over the airline to private hands, which has accumulated losses of more than Rs 50,000 crore. By showing its willingness to exit its control in the carrier, which has been a burden on the state exchequer for long, the Modi government has sent out a clear positive signal to the world that it has finally come out of the fear of embracing privatisation — something that has been pointed out by rating agencies for long as big impediment for lifting economy to a high-growth path. But, instead of letting the majority control go, if the government settles for a small stake sale, the whole exercise will turn out to be a disappointment. But, this is unlikely to happen since reports suggests that the department of investment and public asset management has given options of 100 percent, 74 percent and 51 percent stake sale in the airline, which means there will be a clear change of ownership. Here again, selling Air India wouldn’t be an easy exercise. The airline is neck-deep in debt (over Rs 50,000 crore accumulated debt) and is surviving on Rs 30,000 crore bail-out package. The national carrier is a ‘Maharaja’ only on paper. On most key performance parameters, the airline has been a disappointment compared with its private sector counterparts. As a recent Firstpost analysis showed, Air India's revenue growth has largely been in single digits over the last six years. Only once did the company post a double digit-growth of 21.2 percent - in 2013-14. Its debt figure is 5.5 times of Jet Airways debt of Rs 7,223 crore and 16 times that of IndiGo's Rs 3,201 crore. True, there have been efforts to cut some of its cost by reduction of employees -- from 26,921 in 2011-12 to 12,880 in 2015-16. 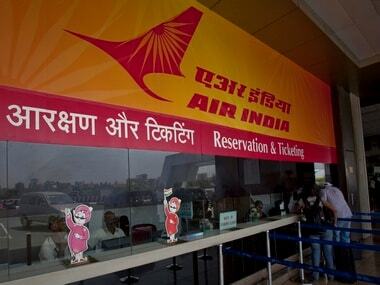 To make Air India an attractive buy and get a good valuation, even for a partial stake sale, the government will have to first work out a detailed plan to sell its non-core assets and reduce debt as much as possible. There isn’t a case for a distress sale here. The airline has assets which, if sold judiciously, can help pare much of the accumulated debt and help the government bargain better. All this depends on working out an aggressive pre-sale strategy well before the carrier is put on the block. Once the Air India stake sale happens, the government can — or rather it should — move on to cut majority holdings in other PSUs as well. 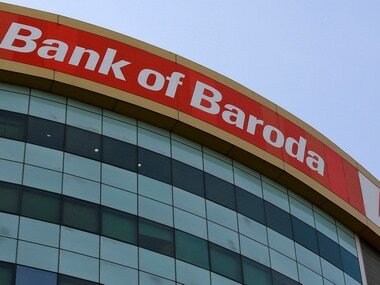 Here, the state-run banks must dominate the priority list. There is no reason why the government needs to continue controlling the these banks. Why should the government control 22 banks in the country, with over 70 percent stake in 12, over 60 percent in six and above 50 percent in three? The government control in these banks has evidently failed these institutions and they have not grown in an efficient, professional manner since the bank nationalisation in 1969 during Indira Gandhi’s time. As of end-March, there are currently 14 state-run banks who have GNPAs above 10 percent. The top NPA-cases in the chart are Indian Overseas Bank (IoB), which has 22.39 percent GNPAs, IDBI Bank with 21.25 percent, Central Bank and UCO Bank (both with above 17 percent GNPAs). 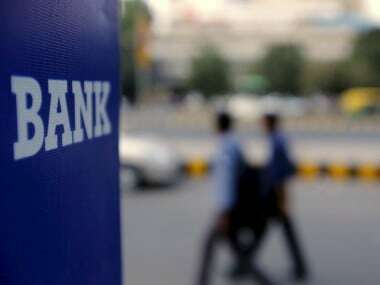 Right now, the bad loan scenario in the banking sector can be termed nothing short of a crisis situation with at least 10 percent of the total loans given by banks in the stressed category. This is, however, only a conservative estimate that is taken into account. Once the current round of bad loan clean-up is over, these banks will require large amount of capital to fill the fund gap. Since the fundamental reasons that lead to bad loan build-up do not change, after a while, NPAs will yet again start piling up. A fiscally constrained government may not be in a position to keep feeding these banks. It is even more critical now for the Modi government to give a serious thought to give up control of the public sector banks and let market competition decide the winners and losers. As this writer has argued in the past as well, the only permanent solution to salvage the sinking baking sector lies in offering the much-needed operational autonomy to the state-run banks by privatising them and also infusing them with private capital available. This has remained a promise so far, but the Air India news gives some hopes. By giving his nod to Air India stake sale, Modi is finally walking his talk on privatisation. It’s a great news for the economy, provided the government follows up with strong actions before it enters its last year.